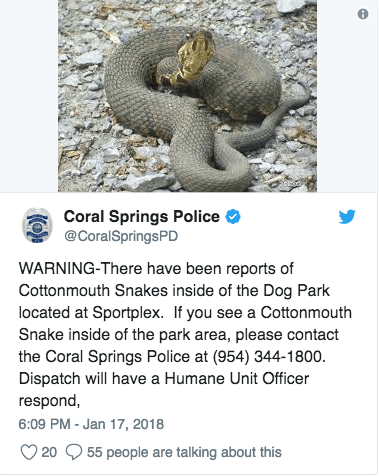 CORAL SPRINGS, Fla. – Police are warning residents of reports of cottonmouth snakes found inside a Coral Springs dog park. The Coral Springs police department used Twitter to issue the warning Wednesday of snakes at the Sportsplex located at 2575 Sportsplex Drive. Residents are urged to avoid the snakes if found inside the park, and call police at 954-344-1800. Cottonmouth snakes are venomous and capable of delivering a fatal bite. The Dr. Steven G. Paul Dog Park is open from dawn to 9:30 p.m.
MIRAMAR, Fla. – Residents are concerned after a number of venomous water moccasins, or cottonmouths, have been spotted in communities in western Broward County in recent weeks. Miramar resident Eric Misch spotted a snake hiding under a rock in his front yard not long ago. Shortly after he killed it, his neighbor reported finding another one outside her home. HAVE A SNAKE IN YOUR HOME on Bee Ridge Rd.? If you’re reading this while seated on a toilet, we advise you to finish up before proceeding. We hate to break it to you, but snakes crawling up toilets is a real-life thing that happens outside of Hogwarts School of Witchcraft and Wizardry. Tim Friede has inflicted himself with more than 200 bites from snakes that could kill within minutes in bid to help develop life-saving vaccines. A scientist claims he’s ‘immune to venom’ after allowing himself to be bitten by the world’s deadliest snakes hundreds of times. Tim Friede has inflicted himself with more than 200 bites from snakes that could kill within minutes in a bid to help develop life-saving vaccines. He claims he is the only person in the world who could now survive back-to-back snake bites. The 39-year-old has even taken on a sub-Saharan Black Mamba, which is widely considered the ‘world’s deadliest snake’, with a bite that could result in a very painful death within 15 minutes. For Burmese pythons — one of South Florida’s most notorious invasive species — few meals are too big. 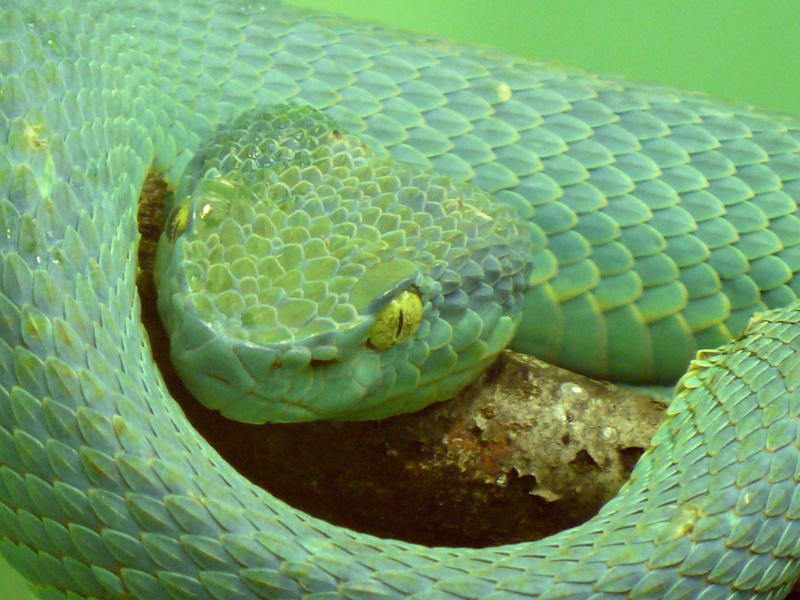 But new research by scientists suggests the snake might be snacking above its weight class. “It almost did not compute,” he said during an announcement of the findings in the Conservancy’s snake laboratory Thursday. But had the snake’s meal been uninterrupted, the python would have eventually fully digested the fawn, which was less than 6 months old, he said. The python was later humanely euthanized. But the Conservancy’s recent discovery could spell more bad news for Florida’s already endangered panther population, Bartoszek said. With Burmese pythons capable of reaching near 20 feet in length, finding a relatively small specimen successfully devouring a fawn heavier than the snake was “jaw-dropping,” Bartoszek said. “It showed my team and myself what we were actually dealing with out t here, what this python is capable of,” he said. Florida Fish and Wildlife Conservation Commission officials don’t keep records of python predator-to-prey ratios, said Carli Segelson, a spokeswoman for the agency’s division of habitat and species conservation. The Conservancy’s python program, which launched about five years ago and is funded by private donors and the Naples Zoo, has researchers radio-tag pythons and then follow them to other snakes during breeding season to remove them from the wild. As of last month, the Conservancy’s team has removed hundreds of adult Burmese pythons with a combined weight of more than 10,000 pounds in Southwest Florida. Parallel to the Conservancy’s efforts, the South Florida Water Management District launched a python elimination program last year, sending python hunters into district-owned lands in Miami-Dade, Broward and Collier counties to track down the snakes and remove them. Nuisance Wildlife Removal Inc is local, family owned and fully licensed and insured. WORRIED ABOUT SNAKES? Call 1-866-263 WILD! 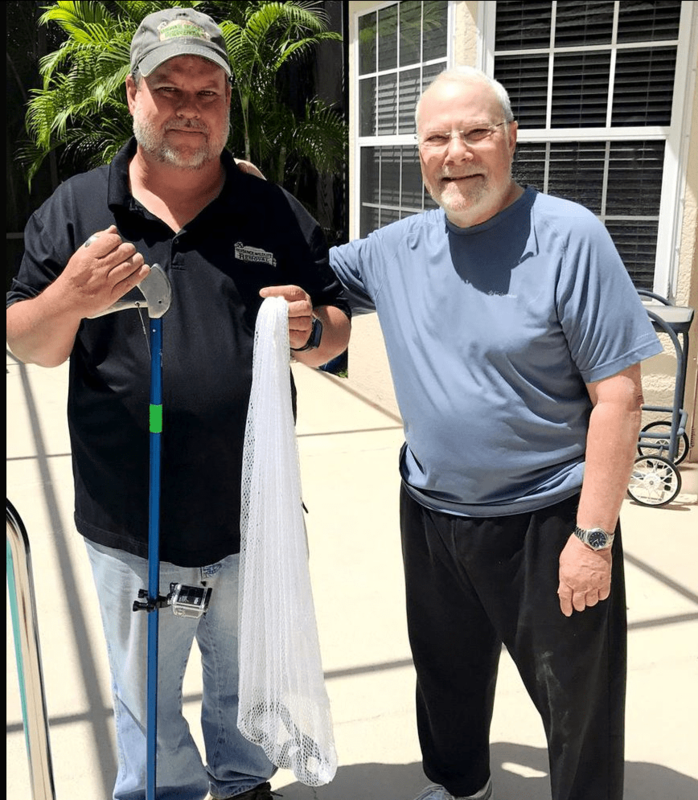 Nuisance Wildlife Removal, Inc. is very well known in the community as the GO-TO expert with the highest experience level in solving difficult insect and pest infestations efficiently and easily. We employ advanced technology such as thermographic cameras and Go-pro technology. This reduces the amount of damage to your structure and this will reduce the overall cost of your project. Have you ever wondered, what is the most venomous snake in the US? 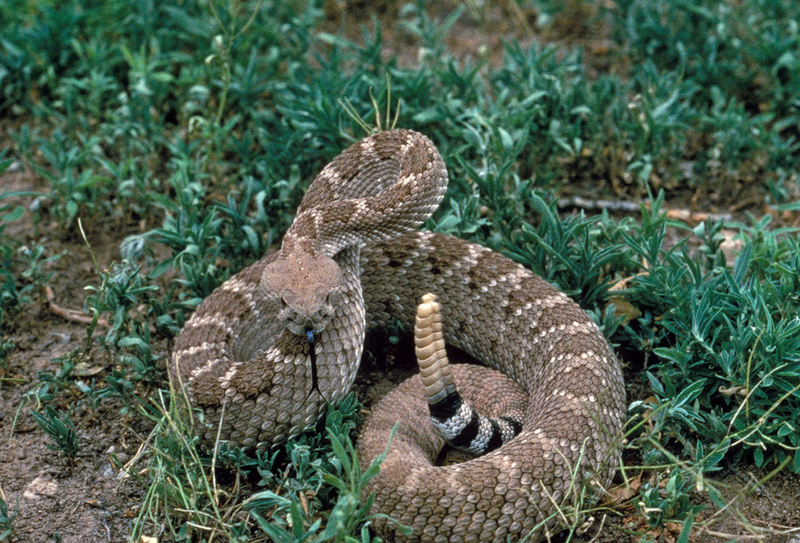 Well, the most fatal venomous bites are attributed to the eastern and western diamondback rattlesnake. Copperheads account for more cases of venomous snake bite than any other North American species; however, their venom is the least toxic, so their bite is not often fatal. In the USA there are about 20 species of snakes that are venomous. Among those are 16 species of rattlesnakes, two species of coral snakes, one cottomouth (water moccasin) and one species of copperhead. The only states that do NOT have a venomous snake are Alaska and Hawaii. The eastern diamondback rattlesnake (Crotalus adamanteus) kills the most people in the US, with the western diamondback rattlesnake (Crotalus atrox) ranking second. However, some authorities think the western diamondback is responsible for the most deaths. Click the above link to open the pdf (portable document format) file, which is the best quality for print. 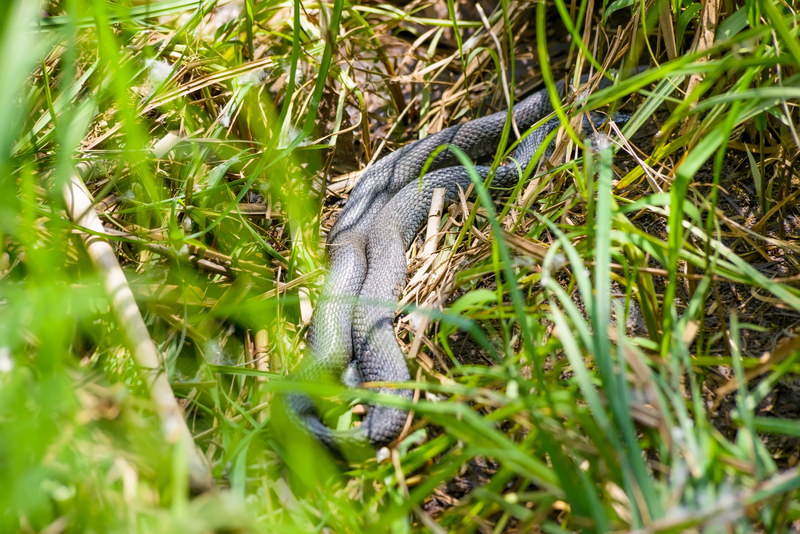 Have questions about snakes or other wild animals on your property? Nuisance Wildlife Removal, Inc. is your expert for snake removal in Manatee County. Call today to talk with a professional wildlife technician. For more information and a FREE estimate call 1-866-263-WILD or 941-729-2103. 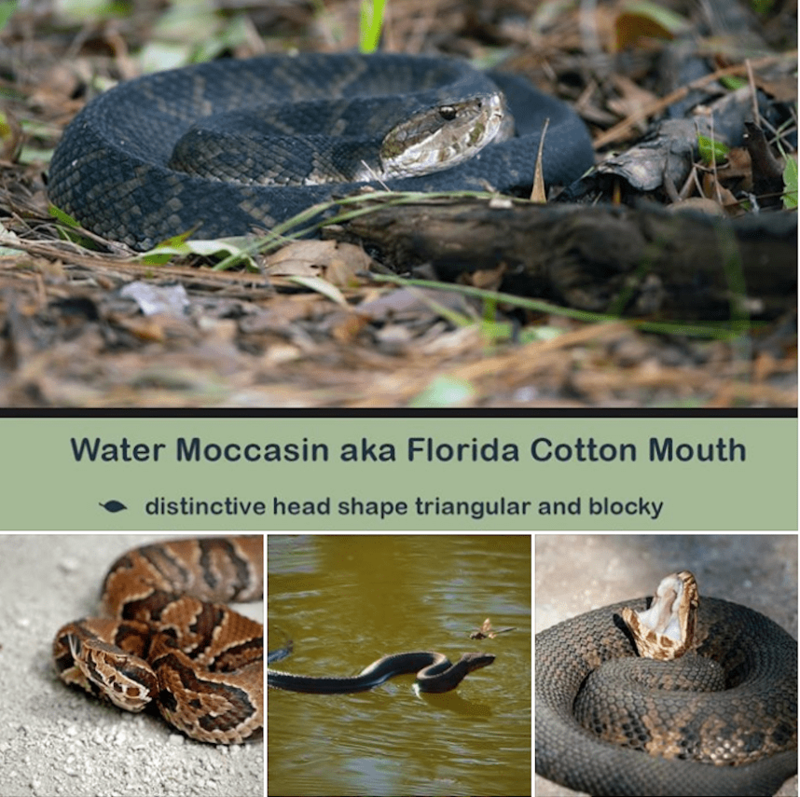 There are four venomous snakes that flourish in central and southern Florida, namely the eastern diamondback, the eastern coral snake, the dusky pygmy rattlesnake and the Florida cottonmouth, also known as the water moccasin. 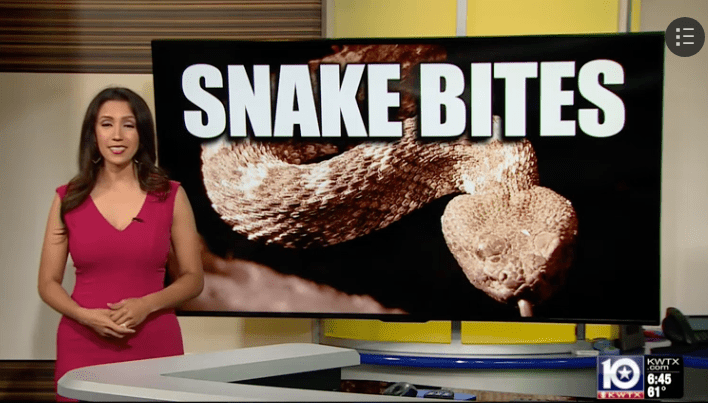 Florida offers ideal weather conditions and habitat for dozens of snake species, but only four of those snake species are classified as venomous. Venomous snakes inject venom when they bite. Although venomous snakes are often described as poisonous, venomous snakes aren’t actually poisonous since poison must be ingested rather than injected. 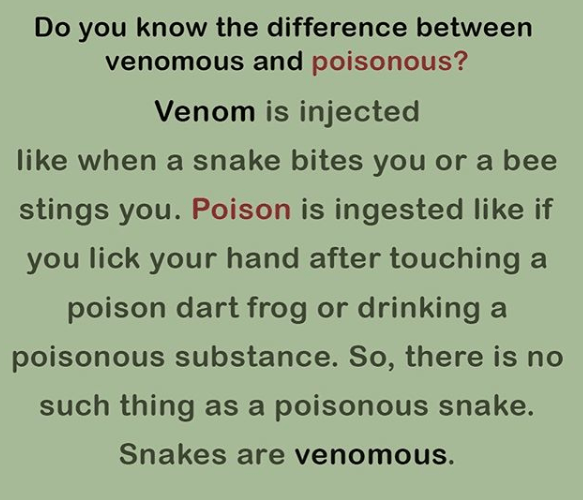 Technically, there’s no such thing as a poisonous snake. Venomous snakes, on the other hand, are dangerous and should be avoided. 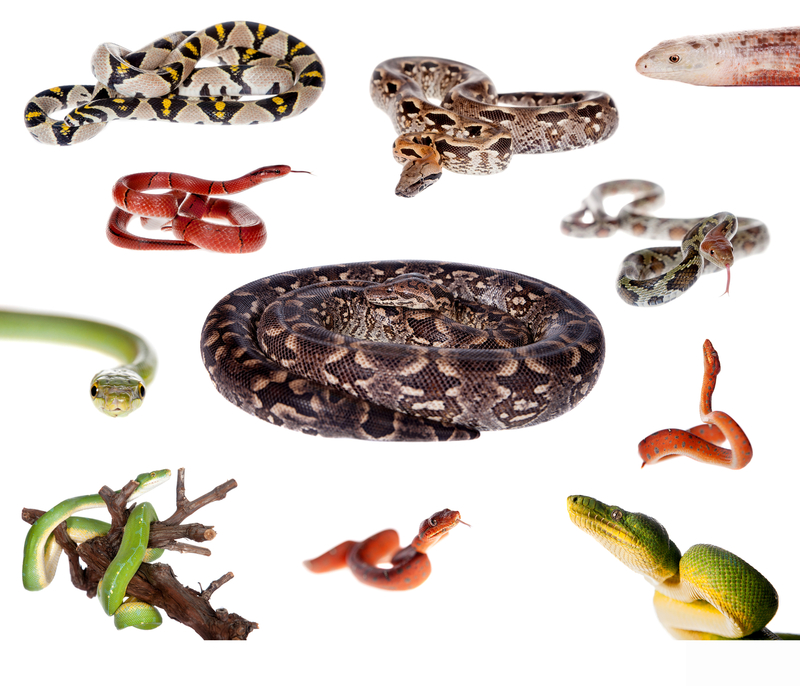 Florida residents shouldn’t be overly concerned about non-venomous snakes, but it’s important to note that it can be difficult to distinguish between the previously mentioned venomous snakes and certain non-venomous snake species. It should also be mentioned that north Florida is home to the timber rattlesnake and the copperhead. 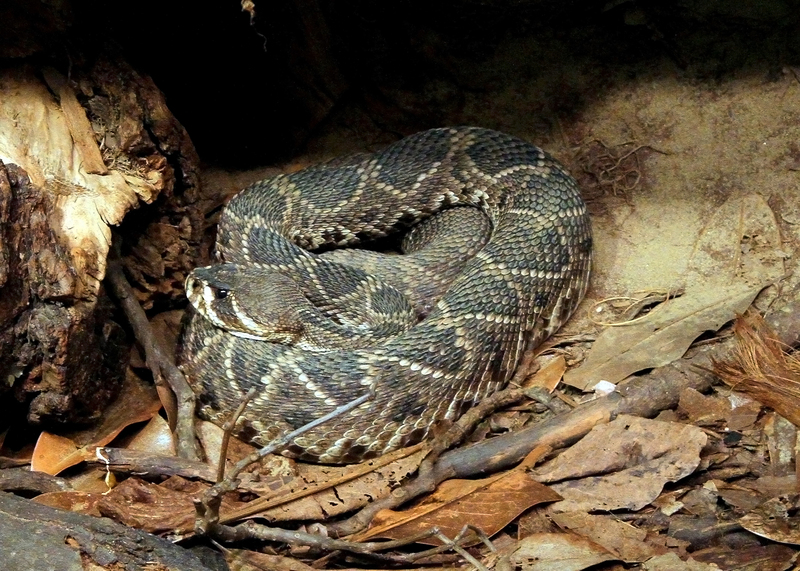 The eastern diamondback rattlesnake is the largest venomous snake species in the United States. The average length of an eastern diamondback is between five and six feet. This dangerous venomous snake will strike from a classic coiled position and can extend half of its body length to reach a target. Never go near an eastern diamondback to avoid serious injury. The eastern coral snake is distinguished by a red and yellow coloration pattern. The venom of the eastern coral snake is neurotoxic, affecting the nervous system and causing paralysis of the diaphragm. The dusky pygmy rattlesnake is a small rattlesnake with an average length of between 15 and 22 inches. The rattle is so small it sounds like a buzzing insect. This venomous snake is gray with colored blotches running along its back. The venom of the dusky pygmy rattlesnake is painful but not lethal. This particular snake accounts for more Florida snakebites than any other venomous snake species. Also known as a water moccasin, the Florida cottonmouth is a venomous water snake. This dangerous venomous snake is characterized by its solid dull black or patterned coloration. The most common way to identify a water moccasin is to watch for the black eye line running from the side of the snake’s eye and down the side of its head. Even baby cottonmouths have this distinctive eye line.